Welcome to The Bay School of San Francisco! As you move through the process of high school exploration, we hope that you will notice the many elements that make a Bay education distinctive: our challenging college preparatory curriculum that purposefully connects classroom learning to the world around us, our unique opportunities for student leadership, the sense of community and kindness that bonds students and faculty, the precepts that guide daily life at Bay, our commitment to diversity, equity and inclusion, and the singular opportunities afforded by our location in the beautiful Presidio of San Francisco. At Bay, we encourage prospective families to take a mindful approach to the high school application process. As a family, you can start by asking a few simple questions: What do you value about education? How do you want your high school to inspire you and challenge you to grow? What kind of community will encourage you to be your authentic self? You can continue to explore Bay online through our website, Facebook page, YouTube channel and other social media, as well as our Academic & Co-Curricular Guide and Viewbook (below). If you have any questions, please reach out to anyone in our office at (415) 684-8949 or admission@bayschoolsf.org. Thank you for your interest in Bay. The Bay School does not discriminate on the basis of SOGIE (sexual orientation/gender identity expression), race, color, religion, ethnicity, national origin, ancestry, age, or any other characteristic protected by law. 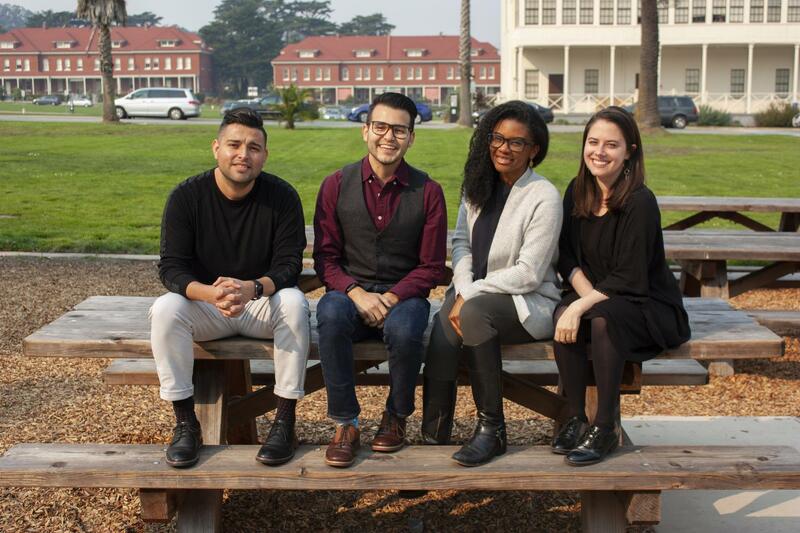 We are committed to having a faculty, staff and student body that reflects the diversity of the Bay Area. We strongly encourage those with a demonstrated dedication to social justice, collaboration, innovation and student-centered education to apply.